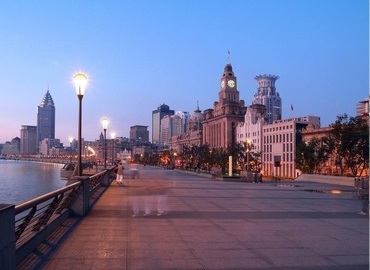 Shanghai is an international metropolis in the eastern of China. It's the largest city in China. 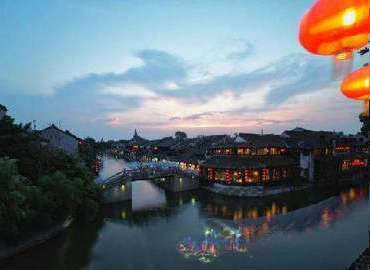 Many travelers prefer it as the top choice to witness the prosperity of new China. You can find so many landmarks there such as The Oriental Pearl TV Tower, the World Expo in Shanghai and the Bund. Shanghai is one of the most important transportation hub connecting to Lhasa. Travelers may join in a Shanghai Tibet Tour to Lhasa to know more about the pure land remained thousands of years. Lhasa is a Global Destination City to travelers all over the world. The ancient city becomes more and more popular to the foreigners. It's well-known for the beautiful view and religious culture. You must be feeling exhilarated by the images of snowy mountains, the sacred lake, and pilgrims. 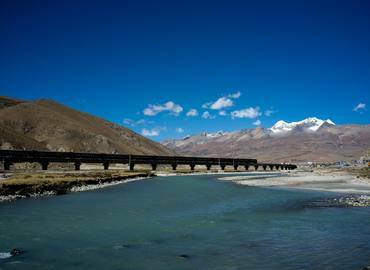 You won’t feel boring on Shanghai-Lhasa train (No. Z164) even though it takes you 46:24 hours and covers 4373km. You can watch the stunning scenery outside of the window as well as enjoying the happy time with other friendly passengers in the same coach. After arriving in Lhasa, you will visit the significant attractions by following Lhasa- Gyantse-Shigatse route. 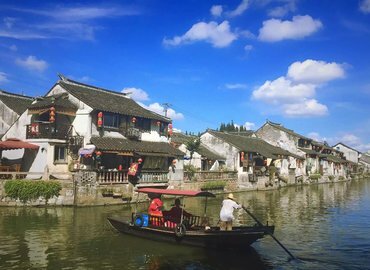 During 1st 2 days, you will have Shanghai tour where you are able to visit Suzhou for appreciating the amazing gardens and natural beauty of Tongli Water Town. Then fly to Lhasa and start your fantastic Lhasa tour, during which you can witness the man-made wonder including The Potala Palace, Jokhang Temple, various kinds of Monasteries and the world's highest mountain Everest! The train tour will be an unforgettable and unique experience in your lifetime. 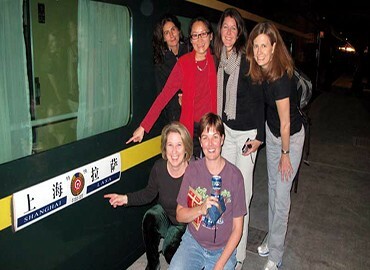 By taking this train tour, you will have 3-day Shanghai tour to feel the mix of tradition and modernity first, then experience the world’s highest train riding from Shanghai to Lhasa along Qinghai-Tibet Railway, finally arrive in Lhasa to visit Buddhism monasteries, view stunning nature scenery and discover the profound Tibetan culture. How many flights from Shanghai to Lhasa? And what is the rough cost? There is no direct flight from Shanghai to Lhasa. You must have a stop or exchange of a flight during the whole trip. China Eastern Airline MU2335 is the only daily flight to Lhasa. Departs at 6:45 a.m. and arrives in Lhasa at 2:40 p.m. having a stop in Xi’an for around two hours. Please note the departure airfield is Pudong Airport Terminal 1. And the other air companies, like China Air, Sichuan Airlines, offer connecting flights to Lhasa (exchange flights in Chongqing, Kunming, Chengdu, etc.) according to their schedule. Please check the real-time information online when booking the air tickets. It usually takes 8-10 hours to reach Lhasa and costs at least USD420/person for the economy class. Can I take a train to Lhasa from Shanghai? How many hours and what is the cost? Yes, there is a train depart from Shanghai to Lhasa every day. Train number - Z164, 20:08 – 19: 30 (+2). The entire trip is about 48 hours. It means you need to stay two nights on the train. You are suggested to take the soft sleeper which makes you feel more comfortable compared with the hard one. Of course, the cost is higher. The net price is USD215/person. However, there will be commission charge if you get the tickets from agents. The charge is different from USD65 – 100 per ticket depends on different tourist season. What documents do I need if I will travel to Tibet from Shanghai? How can I get those documents? The basic documents you need is your passport, China Visa, and Tibet Travel Permit. The only difference is the Tibet Travel Permit. Whether you need the original permit or the copy one depends on the transportation you choose to arrive in Lhasa. According to the regulations, foreigners have to show the original Tibet Travel Permit when boarding the flight, if you will take a plane to Lhasa from any city in mainland China. But the permit copy is enough for you to getting on the train to Lhasa except for Lanzhou, Chongqing, and Xi’an. So, original Tibet Permit for traveling to Tibet from Shanghai by air and copy for taking a train. However, recently, some officers require the original Tibet Travel Permit as well when foreign travelers collect the train tickets in Shanghai railway station. Several of our clients have been in this situation in 2018. Don’t worry. You just need to change to another service window. And there will be someone to give you the tickets in the end. You need to apply for the China Visa in your country in advance, and then email us the copy of your passport and China Visa. We will obtain all the necessary Tibet Permits according to your tour itinerary. We will send you the original permit to the hotel in Shanghai or the airport before you boarding the flight to Lhasa. Or, send you the copy of the permit by email if you will take the train to Lhasa from Shanghai.